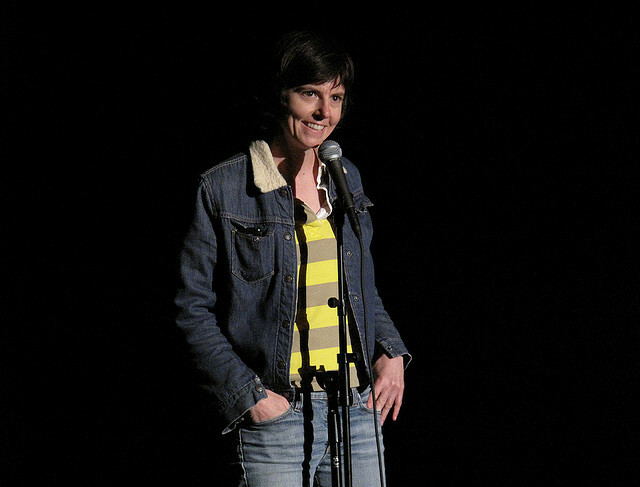 Tig Notaro is in great demand in the comedy world. After doing stand up for more than 15 years, she’s finally made it to the big time. She’s got a new job with Comedy Central and a book deal; her debut album is high on the charts on iTunes, and lots of magazine editors want her in their pages. So, you may ask: “What is the secret to Notaro&apos;s sudden success?” Well, her answer is an unusual one — she’s got cancer! Nataro was diagnosed with cancer earlier this year, and underwent a double mastectomy, chemo-therapy and radiation treatment. This was not long after she contracted a serious bacterial infection, lived through the sudden, unexpected death of her mother, and suffered a bitter break up with her girlfriend. What did she do with this bad luck and medical agony? She made fun of it, by turning it into a stand-up routine: "Good evening. Hello. I have cancer. How are you? Is everybody having a good time?" Macabre? Indeed! Shocking? You bet! Cynical? Absolutely! Angry? A little? Funny? Well, yes! After you let it all sink in. Notaro is really not being irreverent. She’s not talking about other people’s cancer, she’s talking about her cancer and trying, through laughter, to take away the fear, dread and stigma of having cancer. Her routine is a bit of “gallows humor.” It’s an attempt to detox her own fears, and perhaps help others to deal with their fears of illness and death. Notaro is clearly a student of Joan Rivers, that great American philosopher who once said, “If you can laugh at it, you can live with it.” Humor prevents us from perceiving reality as a personal attack or a personal affront. Humor is about the ability to transcend self. It’s the ability to celebrate our collective experiences and essential sameness. Humor allows us to laugh at our personal and collective vulnerability. Humor has to do with transcending the absurdity and fragility of life. Nietzsche suggested that to gaze too long into the “gapping abyss” leads to despair and futility. Notaro&apos;s work suggests that humor, laughter and joke-telling are a way to gaze into the abyss, confront the unknowable and unanswerable, and perhaps find comfort and perspective: Humor allows us to gaze into the abyss and not be defeated. Now Notaro has both gazed into the abyss and descended into it. But she is not defeated. She has survived and is in remission. She is laughing herself well!